제 12회 서울재즈페스티벌의 2018 1차 라인업, 그 첫 주인공들을 공개합니다! 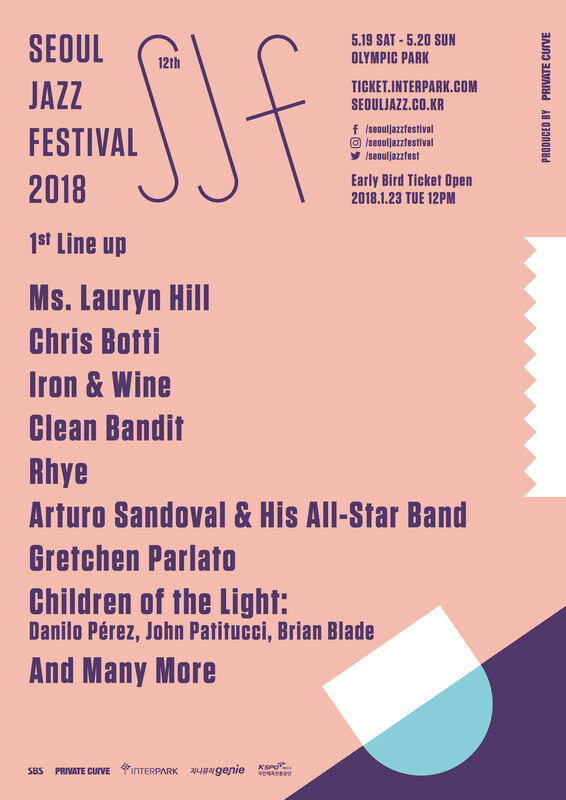 WHO’S NEXT @ Seoul Jazz Festival 2018. We're proud to present our very first line up for the upcoming Seoul Jazz Festival 2018! ◇The trumpet player widely loved by both jazz and pop scene Chris Botti. ◇The sentimental poet of folk music Iron & Wine. ◇Classic meets dance music, the ingenious band Clean Bandit. ◇The sophisticatedly sensual band, Rhye. ◇The world renowned latin-jazz trumpet legend Arturo Sandoval & His All-Star Band. ◇The Grammy-award winning jazz vocalist who swept everyone off their feet, Gretchen Parlato.